The environment ministry in 2018 finalised a nationwide plan to curb air pollution, notified new rules governing India's coastlines and proposed prohibition of use of animals in circuses besides engaging "constructively" in the crucial climate summit at Poland. It also unveiled a draft national forest policy and pledged to eliminate single use plastic by 2022 but had to grapple with the issue of human-tiger conflicts, an unprecedented deadly viral outbreak among Gir lions and tackling air pollution in north Indian cities especially Delhi. A huge controversy erupted over the way tigress Avni was killed in Maharashtra in November with the final report of the National Tiger Conservation Authority's (NTCA) fact-finding committee raising questions over it. The committee said there was no operational coordination among veterinary professionals and the team which killed the tigress on November 2 in Yavatmal and that the dart for tranquillising the feline was fired unauthorisedly. It also said the veterinary drugs were handled by unauthorised persons during the operation, in which sharp-shooter Asghar Ali Khan had shot the tigress. The Maharashtra government has been under fire over the death of the tigress, officially known as T1, who was believed to have turned a 'man-eater' and killed 13 people in the last two years in Yavatmal. The killing of the tigress also led to an outrage among animal lovers and wildlife organisations. There was further trouble with the wild cats, this time in Odisha after the government had to keep the translocation of tigers at the Satkosia reserve in the state "in abeyance" due to non-compliance of advisories of NTCA. The move came amid reports that the carcass of translocated tiger 'Mahavir', who died after falling into a trap laid by poachers, was found in an Odisha sanctuary. The Indian Council of Medical Research (ICMR) - National Institute of Virology (NIV) asked the government to shift healthy lions from Gujarat's Gir forest after samples of the wild cats tested positive for a virus, which had wiped out 30 per cent of lion population in East Africa, indicating "active disease transmission". Till September 12, as many as 23 lions died in the sanctuary, at least 11 of them due to the CDV and Protozoa infections. With north India hit by severe pollution, the ministry finalised a pan India time-bound national level strategy - National Clean Air Programme (NCAP), which proposes multiple strategies to combat pollution in over 100 cities in the country with a total proposed budget of Rs 300 crore for its implementation for financial years 2018-19 and 2019-20. Towards the end of the year, new rules governing India's vast coastlines were also approved by the government in which it gave impetus to promotion of tourism and stipulated No Development Zone (NDZ) of 20 metres for all islands. In December, India participated in the crucial UN climate summit in Katowice in Poland where it termed its outcome as "positive" as it set nations on the path for successful implementation of the historic Paris Agreement. India asserted that it engaged in the negotiations "constructively" while protecting its key interests. Negotiators from nearly 200 countries during the conference finalised a set of rules that will make the 2015 Paris deal to curb global warming operational in 2020, after a two-week summit. The outcome of the talks in the mining city of Katowice aimed to limit the rise in global temperature to well below 2 degrees Celsius. In 2018, the ministry also proposed prohibition on the use of animals for performances, exhibition at any circus or mobile entertainment facilities, a move hailed by animal rights activists as "progressive and laudable". The ministry also unveiled a draft of the new National Forest Policy (NFP) which proposes to restrict "schemes and projects which interfere with forests that cover steep slopes, catchments of rivers, lakes, and reservoirs, geologically unstable terrain and such other ecologically sensitive areas" while also suggesting setting up of two national-level bodies National Community Forest Management (CFM) Mission and National Board of Forestry (NBF) for better management of the country's forests. An amendment in the Indian Forest Act, omitting bamboo grown in non-forest areas from the definition of trees was also cleared during 2018, a move aimed at exempting it from requiring permits for felling or transportation. Before this was cleared, the definition of tree in the Act included palm, bamboo, brushwood and cane. India also hosted the World Environment Day in New Delhi. 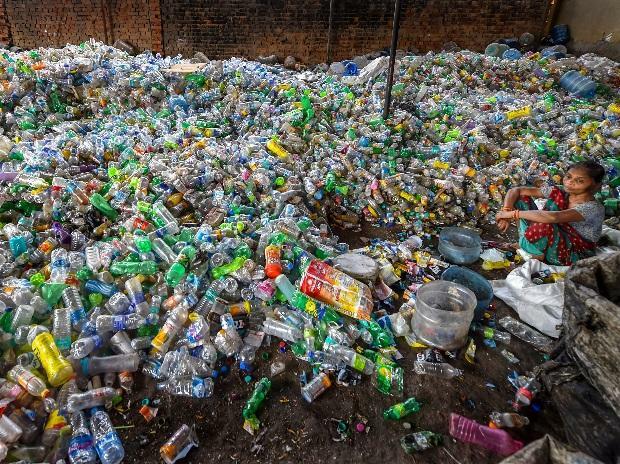 Environment Minister Harsh Vardhan, in presence of Prime Minister Narendra Modi also pledged to eliminate single-use plastics from India by 2022.